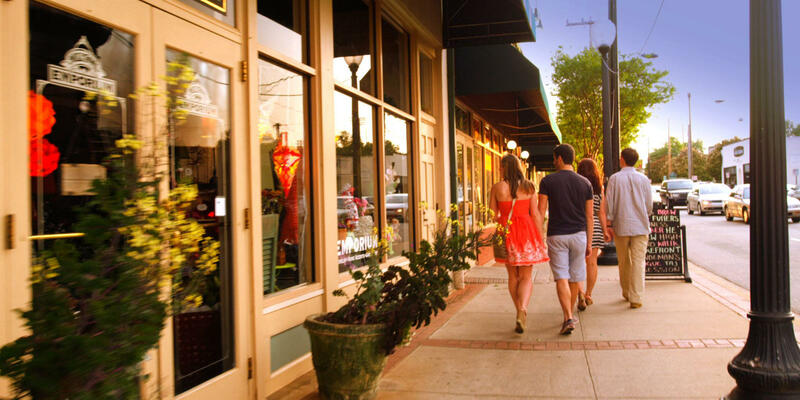 Since the first settlers arrived in America, the mantra of exploration has been “Go west.” Today, as you consider exploring the history and legacy of Greenville, we encourage you to begin by going west – to the West End of our delightful downtown. The Historic West End Walking Tour begins at the very birthplace of Greenville—Falls Park. Imagine these same 28-foot natural falls casting their spell on the first colonial settler, Richard Pearis, when he arrived in 1769. 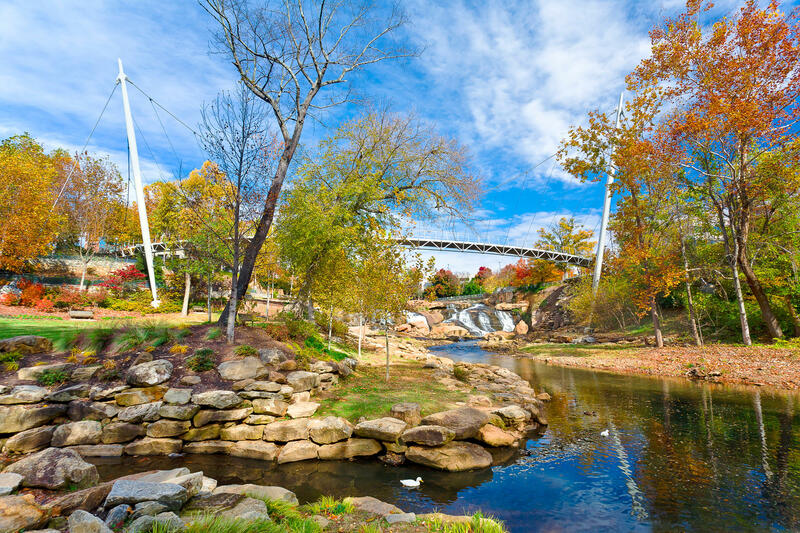 Less than a handful of American cities can boast such a waterfall in the heart of their downtowns, and only one can boast a pedestrian bridge like the newest icon to grace Greenville’s cityscape—the award-winning Liberty Bridge. Just steps away, at the foundation walls of an 1816 grist mill, guests will learn how this small trading post town rose to become the textile center of the world. 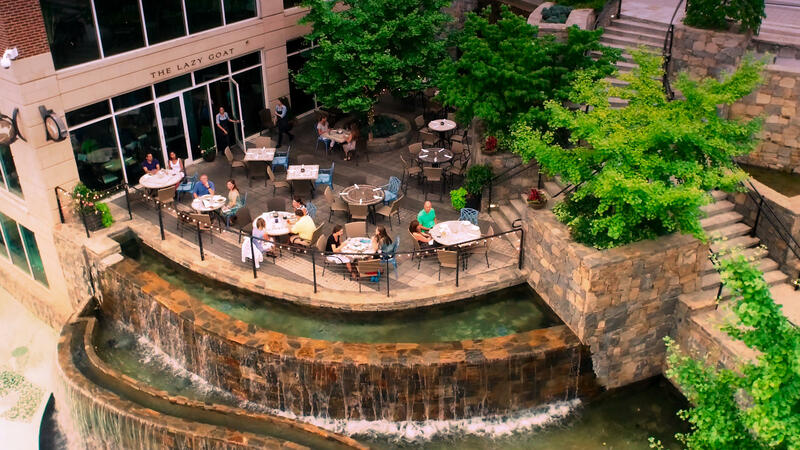 The tour includes visits to some of the oldest buildings still existing along the banks of the river, as well as a review of the magnificent features of the $137 million Riverplace development’s unique mix of restaurants, offices, condominiums, artists' open studios, hotel, water features and more. And you’ll visit with two famous Greenvillians, each memorialized in bronze—Nobel Prize-winning physicist Charles Townes and baseball legend Shoeless Joe Jackson. Intriguing automotive, baseball, and commercial history will round out the tour of this thriving part of town.